Hakkında: Extends Piwigo with geographical location for each photo. View your photos with Google Maps, or open them in Google Earth. - View by category, by tag, search results or recent pictures. - This plugin does not require any php/template or css code modification, but it does modify the database. Instructions: Unzip the file in plugins subdirectory of your gallery, then install and activate the plugin from the admin page. Or install from the Plugins menu. This version is incompatible with previous 2.9 versions. Reintroduce the ability to define a google maps api browser key. This is required (again) by Google for new websites. 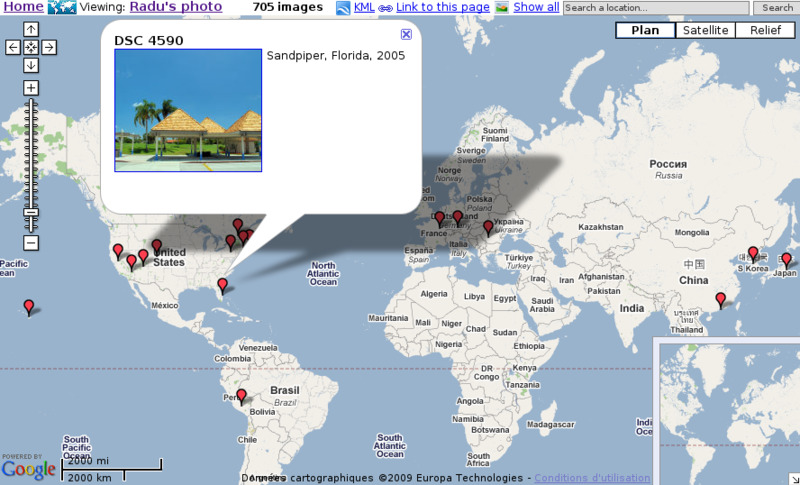 - the picture map page has a link "More pictures near this location"
This is the first release. So expect some potential bugs.